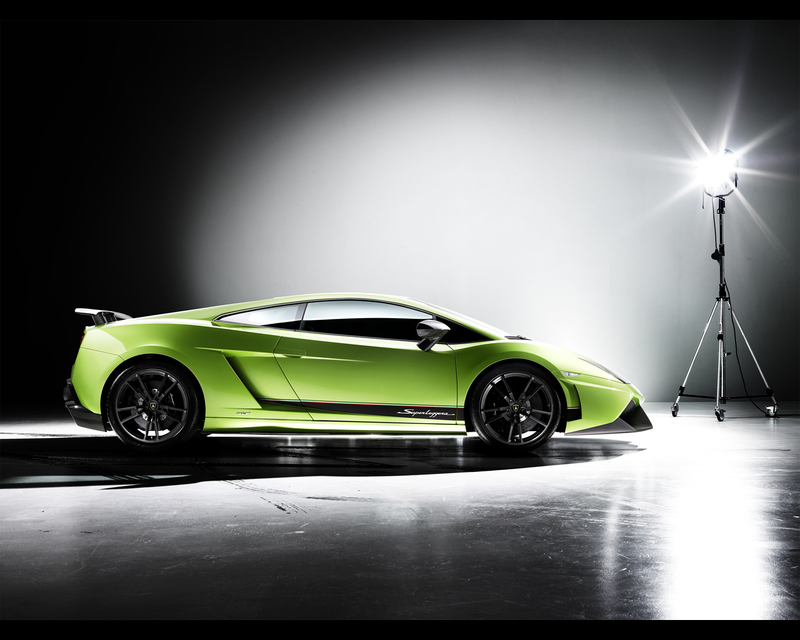 The Lamborghini Gallardo LP 570- 4 Superleggera makes its entrance on the market to continue the success of its predecessor, launched in 2007, of which Lamborghini produced and sold 618 in just one year. 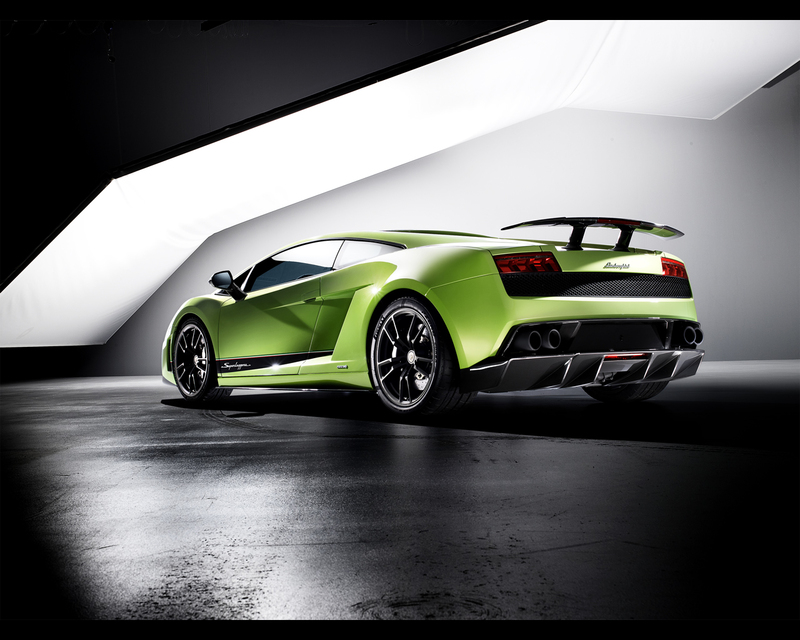 Compared to the Lamborghini Gallardo LP 560 – 4, the weight of the new Gallardo Superleggera has been trimmed by 70 kg (154 lb. Total dry weight now is 1.340 kg (2.954 lb). 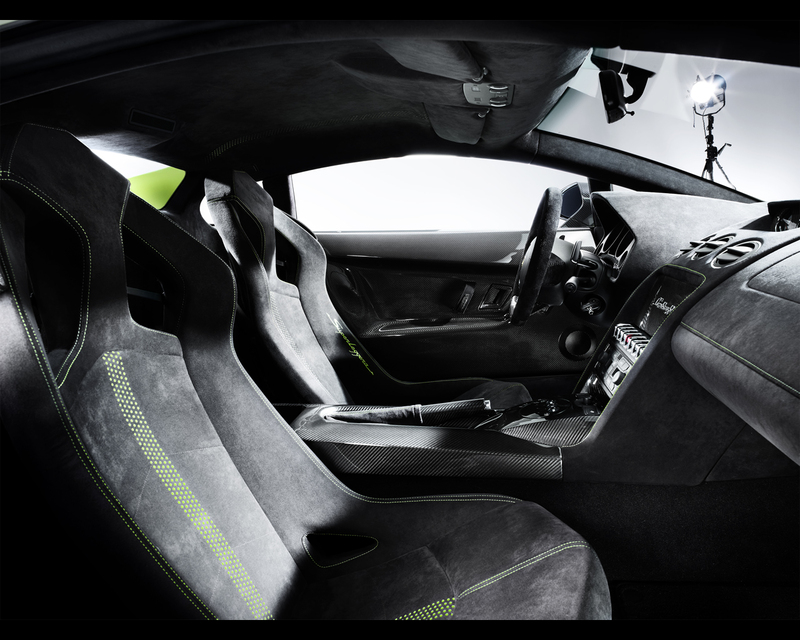 One of the key factor is the extensive use of carbon fibre composite for the body and interior. The 5.204 cc (317,6 cu. In.) V10engine generates 419 kW (570 hp) which is a 10 hp increase over the previous model. The Gallardo Superleggera is claimed for accelerating from zero to 100 kph (0 to 62 mph) in 3,4 seconds and flies past the 200 kph (124 mph) mark only 6,8 seconds later, ultimately reaching 325 kph (202 mph). The Gallardo Superleggera like its predecessor, has a permanent all-wheel drive transmission with viscous traction control. The gearbox is 6-speed and optional robotized sequential e-gear system with actuation by paddles on steering wheel. Exterior modifications are all directed at increasing aerodynamic effects. One major change is at the front end, with the V-shaped, sharply defined nose and the LED daytime running lights. 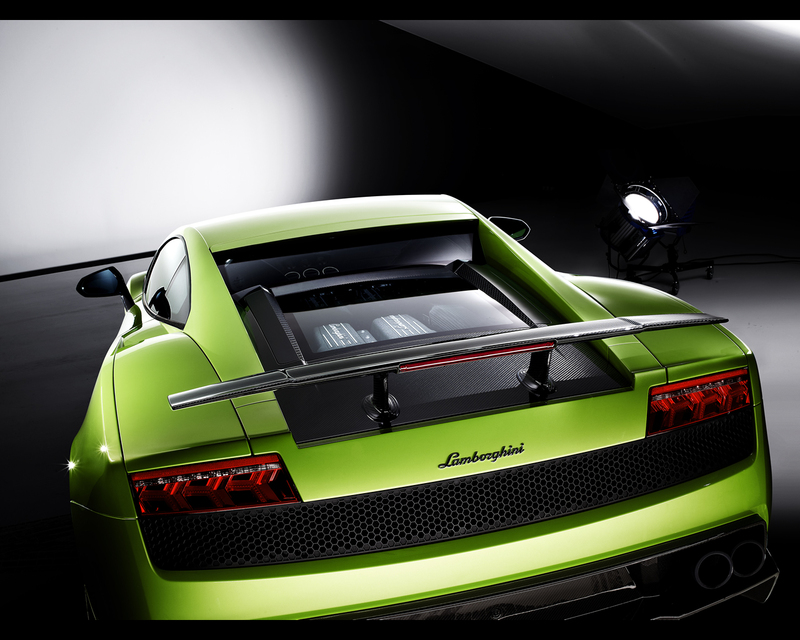 The Gallardo Superleggera is also considerably more efficient. Compared with its predecessor, its fuel consumption in the EU driving cycle is reduced by 20,5 percent to 13,5 litre/100 km (16 mpg). This improvement is partly due to the gasoline direct injection, which injects fuel into the combustion chambers at pressure of up to 100 bar. The tumbling mix cools the combustion chambers, which enables a very high compression ratio of 12,5:1 which, in turn increases efficiency.